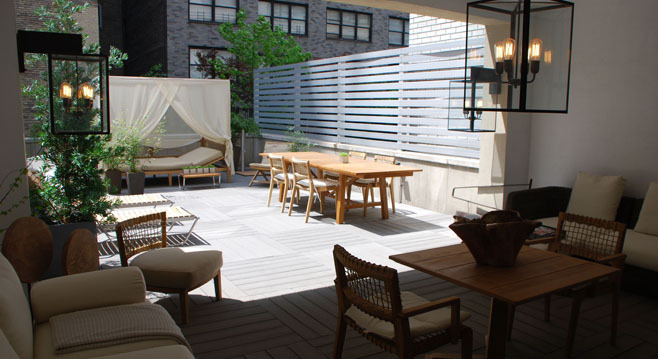 Francine Gardner, a favorite of decorators coast to coast, has moved her elegant downtown Manhattan store Intérieurs to an expanded space uptown. The two-story showroom is outfitted in dark woods and an earthy palette, providing a sophisticated setting for the tastemaker’s mix of chic upholstered furnishings, artful lighting by José Esteves, and 19th-century industrial chairs. Also available to shoppers for the first time are outdoor seating, tables, and accessories, displayed on an open-air terrace. At 228 E. 58th St. 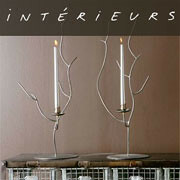 Call 212-343-0800; interieurs.com. For more chic new restaurants, hotels, and shops, click here. Dickson Wong of Elle Decor has it right on, Interieurs is fabulous, and I love this view! Wishing you all the best of luck, Francine. Congratulations on the exciting mention, Francine. Your new space looks gorgeous! You have great taste and would love to visit your showroom one day. Good luck and more magazines should mention it. Thank you for your invitation. We flew into Providence and drove to the cape. We will be in NY in the fall and I can't wait to come and see your showroom and meet you personally. That's just wonderful, Francine! I would love to come and visit -- it's on my must-do in the near future list. Such a beautiful shop, and I can only imagine how much more beautiful it is live. Sending you best wishes and good luck . That is an awesome bed. Mais bien sur...you deserve to be on many more magazines. Chic!